Expanding your knowledge doesn’t always have to come with a pricey school fee. Ahead, discover fun online classes you can take up, FOC! If you’re intending to pursue your first part-time job, chances are you would snag a gig in customer service, which will require tons of human interaction be it as a store assistant, banquet waiter, or barista. This course preps you by teaching the essentials of delivering good customer service, encompassing both hospitality and retail industries. You’ll also be able to discover if customer service is truly for you by finishing three self-graded assessments. Envious of perfectly curated Instagram feeds? Well, you don’t need to be a social media influencer to have visually appealing photos! 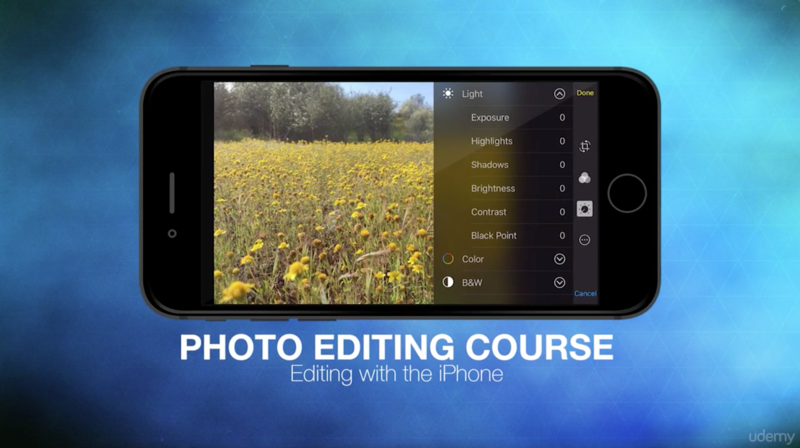 A few hours with this course will have you learning how to edit your photos with pizzazz, using only your smartphone. By the time this video course ends, you’ll likely say goodbye to spending extensive, unnecessary time editing your snapshots, and achieve your #Feedgoals in a breeze. *Online course is free. Verified certificate is available at US$49. Having trouble managing your finances despite trying your hardest to save every month? Register and enroll in this free online course that gives you professional financial advice to hone your money smarts. Easily relatable and applicable with real-life examples, you’ll be able to make clearer decision the next time you’re thinking of splurging your allowance on a random buy. ICYMI (In Case You Missed It), SEO knowledge is fast becoming a necessity. Short for “Search Engine Optimisation” – SEO is essentially, keywords we enter into the search engine while looking for information. Knowing how SEO works is a vital skill to acquire, and can do wonders for your career – be it at a web store you’ve started or the new company you’re about to intern at. With this straightforward course, you’ll have a better understanding and strategy to help your website top the search results. Google ain’t got nothing on you. The social media landscape is ever-changing and thus, comes the importance of staying updated (and savvy). With this helpful online guide, keep up with platforms such as Facebook and Twitter and learn how to capitalise them for your business. The course also ventures into what makes content viral, so the next time you’re sharing or uploading your content, you’ll know exactly how to get that view count rising. Acquiring the ins and outs of this skillset is guaranteed to be imperative for your digital future, so there’s no better time to get schooled than now. After all those years watching CSI: Crime Scene Investigation, you can now fulfill your dreams of being a detective. Well, close enough, Nanyang Technological University is offering a concise eight-week long course that will have you equipped with greater comprehension in the field of forensics and DNA. Even cooler are the real-life investigations you’ll get to study, such as the infamous JonBenét Ramsey murder case. Super Mario and The Legend of Zelda might’ve been your childhood go-tos, but not many truly know the complex story of how video games came about. Make history lessons exciting with this course by delving into how the first ever video games were invented, and be mind-blown at how it has evolved into incorporating Virtual Reality today. You’ll feel like the smartest one in the group the next time you and your pals are having a video game marathon when you impress them with your newfound facts! Discover more tips on effective ways of learning in our April 2017 issue out now! We totally understand how difficult it is to focus on one thing at a time. You’ve got distractions aplenty – from itching to play that new game you just downloaded, to stealing peeks at your mum’s K-drama playing on the television in the background. The temptations are endless, but with these 6 methods, dispelling that ineffectiveness in you isn’t all that impossible. Vision getting blurry? Realised you’ve meddled with your hair that they’ve started falling out all over your desk? Then it’s time to put away those books, for a while at least. Studies have shown that taking breaks at optimal intervals to rest your eyes (and brain) from concentrating for extensive periods does wonders for your productivity. Set an alarm for every 45 minutes of work-time and step away from your desk when it rings to just stretch, scroll through your Instagram feed or scour your fridge for a snack – you deserved it. The world’s greatest invention might possibly also be the most distracting one, tempting you with its evil forms of online shopping, social feeds and gaming apps. If simply setting your phone aside at the corner of your bed or at the side of your table still doesn’t stop your fingers from crawling towards your device, do the unthinkable and… switch it off. Should self-discipline not be your strongest trait, take it a step further by locking it away in a drawer and giving the key to your trusted parents or sibling until you’ve finished your assignment of the day. You’ll thank them later. While your phone can be your biggest distraction, it can surprisingly also be a great source of productivity. 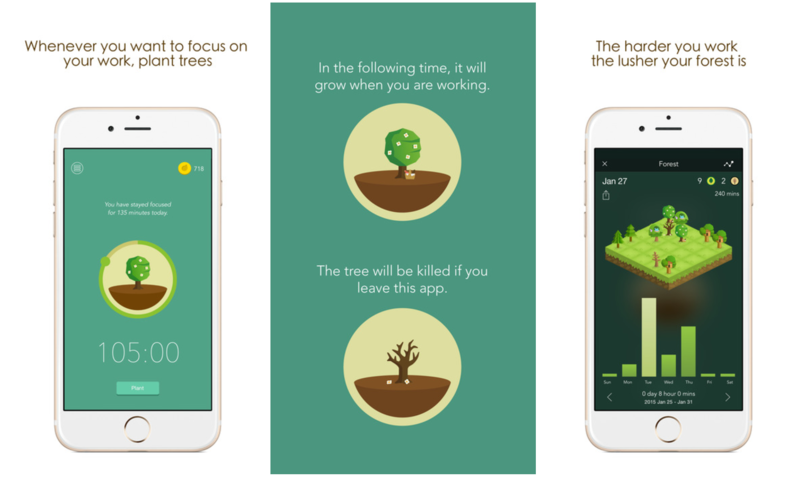 The ingenious Forest app actually encourages you to to put your phone away – to grow trees. Yep, you read that right. Be your own virtual gardener as you seed different species of plants and watch them grow together with your productivity the longer you don’t touch your phone. What’s more, you can even collect in-game tokens and exchange every 2,500 for a real tree to be planted in the world. Getting work done and giving back to the environment? Two (green) thumbs up! Forest is available on the iOS app store for S$2.98 or on the Google Play store for free. The only person who knows how and when you work best is after all, yourself. Get more effective by setting up a routine customised to your schedule so you know you have to get down to business when it calls for it. How exactly should you go about doing this? Treat your study/work time as a daily mandatory activity, just as you would for having your meals or taking a shower – and you’ll feel the pinch when you fail to keep up with the regulation you’ve set yourself, and be all that more motivated to get off that couch and be productive. Hold up – if you think doing more tasks at the same time will get things completed faster, you couldn’t be more wrong. Always remember that quality edges out quantity, and it’s imperative to complete responsibilities with dedication and commitment, rather than delivering slipshod work. Limit your full attention to one assignment at a time, only moving on to the next once you can check it off your to-do list with pride. We all already know chowing down junk food will leave you restless nursing a food coma, and extinguish any form of motivation to get work done. However, eating the right kinds of food will actually do quite the opposite – and get your brain juices flowing in all the right way. Foods like salmon, berries, nuts, avocados and bananas are delicious sources of energy and help induce that much-needed burst of productivity, while green tea stimulates your mind and improves memory retention. Also don’t forget good ol’ water throughout your day to keep yourself alert and hydrated! Got a unique productivity tip that works for you? Share with us in the comments below! 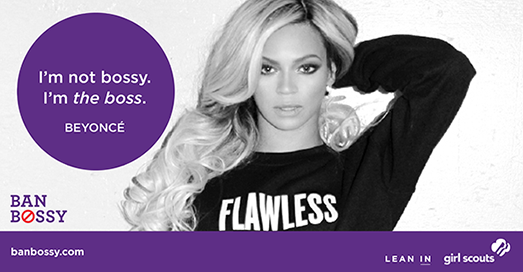 5 Female Positive Movements To Get Your #GirlPower On! In honour of International Women’s Day, we shine the spotlight on 5 female-positive movements shaping the future. Do we really need to ask: Who Run The World? Emma Watson is known for getting the notice of guys all around the world, but she’s turned all that attention on her towards a greater issue. As the founder and an avid ambassador for the #HeForShe global movement, Emma continuously fights for the cause – which aims for bringing attention to gender equality and also engage men to be involved in the movement. We can participate in the campaign ourselves by logging on to their website and joining in the petition to track our country’s impact on the cause and discover more on what we can do to take action on the social issues in everyday life. Other celebrities who have voiced their support include Anne Hathaway and The Vamps’ James McVey. The power of social media can work wonders. Just take Candance Reels’ Female Collective movement as an example. What started out simply as an Instagram account to promote awareness on feminism, Female Collective has propelled into a leading brand today – merging fashion, pop culture and art aesthetics. Cop a cool Insta-worthy graphic tee from their online store or follow their Instagram for daily inspirational female empowerment! Remember when Alicia Keys showed up at the 2016 MTV Video Music Awards sporting a #Nomakeup look that sparked polarising public opinions? Her makeup choice (or lack thereof) is actually indirectly related to part of a bigger movement that is shaping how we view women in today’s society. Raw Beauty Talks, formed in 2013, is a progressive female movement that celebrates being comfortable in your own skin and redefines what it is to be “beautiful”. Who needs filters when you can feel flawless? 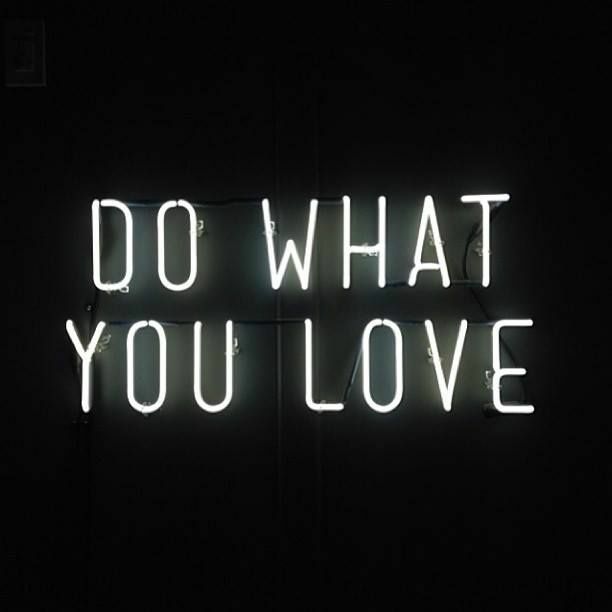 Loving and accepting yourself for who you truly are (and look like) is one of the most difficult and yet most liberating things one can do – The Body Image Movement will help guide you along. Founder Taryn Brumfitt is a one-woman game changer Australian championing the cause and has even recently produced and directed a documentary titled Embrace, a passion project film funded by Kickstarter that inspires to shed negative body perceptions instead of kilos. While the film is not yet available internationally, Taryn is targeting a worldwide release in the future so we also get the pleasure of joining her journey! In the meantime, join the movement by signing their petition on the website, and check out the uplifting trailer below! Featured image credit: Debi Hasky via Pinterest. What are some female empowering movements you support? Share with us in the comments below!